One of our most steadfast supporters is Marc Deckter. Marc is allowing us to digitize hundreds and hundreds of rare 1930s Sunday pages from his extensive collection. Last year, Marc issued a challenge to readers of this blog. Today, he is challenging you to help again. Contribute $20 to the ASIFA-Hollywood Animation Archive through the PayPal link below, and Marc will provide us with a vintage Sunday page to publish here on the website. Donate $50 and he will share three of them… donate $100 and he will allow us to post eight pages. Purchase one of these hard drives and have it shipped to the Archive, and Marc will post FORTY rare Sunday pages! Marc has classic Otto Messmer Felix the Cat, Chic Young’s Blondie, Cliff Sterrett’s Polly and Her Pals, Milt Gross Sunday and other great pages ready to go. All you have to do to see them is contribute. As the total rises, Marc is prepared to throw in some extra treats, like he did last year. When you contribute, everyone benefits. They have already posted a huge number of great strips from this promotion… please do give them money! Click the above image to go see some great comics! 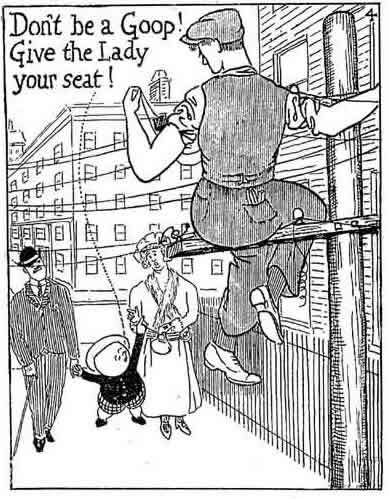 Tom Spurgeon points us to this amazing golden age comics download site at goldenagecomics.co.uk Im pretty sure I’ve linked there before, but this is the first time I have explored it in detail… they have a ton of amazing public domain golden age books for free. What a resource! Note that you can find links to software for viewing the comics here (they are .cbr files). 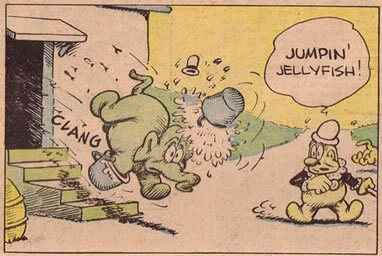 Click the cover of Animal Comics #23 featuring Walt Kelly’s Pogo above (one of the many, many comics available there) to go to the site. 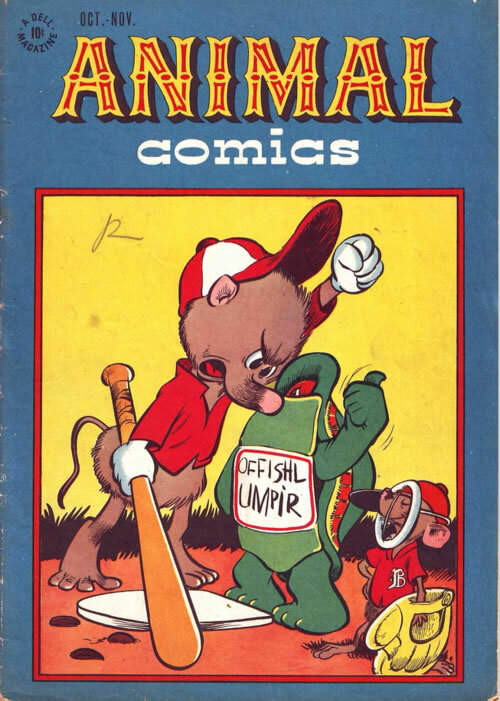 Here’s a link to the Animal Comics they have available. Note that you will need to create and account to download the comics. 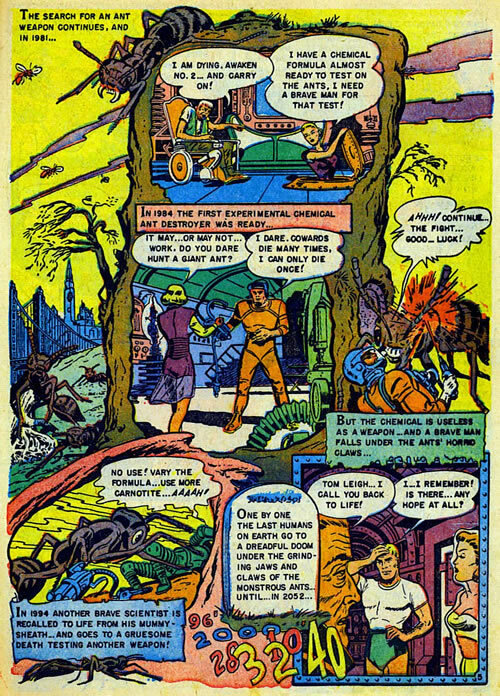 Note also that they take down comics if they come to believe they are not in the public domain… many of the Dell comics listed are no longer available for this reason… there is no EC or DC, among other notable omissions. No matter, they have an utter overload of amazing stuff… don’t miss this site! 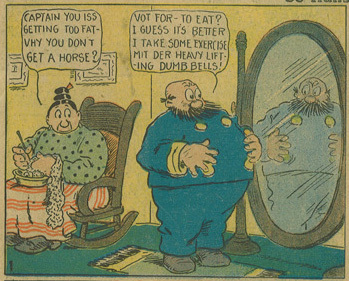 Among his usual heap of great stuff he is posting daily on his blogs, John Adcock brings us the full version of the previously truncated Frederick Opper Katzenjammer strip I linked to the other day. Click the above image to see it. Number 376 Rocky X is stranger than strange! Another Milestone: Time For The Marc Deckter Challenge! What’s a Coogy? 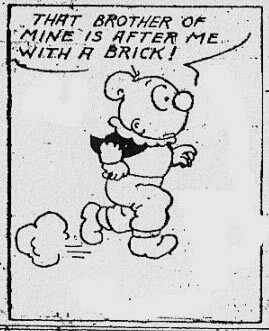 Tuesday newspaper strip day. New York! Philadelphia! Comic art shows! It’s fine, but is it art? More Mr. Muscles + Kid Muscles! Ten Final Hearty Recommendations From Your Other Pal, Holmes! Melvin of the Apes Saturday leftover Day. Number 374 I Shagged The World! 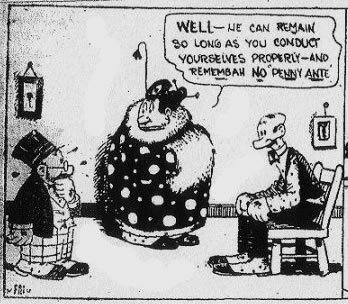 John Adcock continues to post great stuff on his Yesterday’s Papers and Yesterday’s Papers Archive blogs, and brings us more strange ghosted daily Katzenjammer strips… these ones are utterly free of character, style or artistry, and ran under the title The Shenanigan Twins (apparently due to WWI anti-German sentiments… the old title returned soon after the war), still under Rudolph Dirks credit. The “gags” were presumably just lifted out of some old joke book… backgrounds are nowhere to be seen… hardly any violence either. Even the German ach-cents are gone! 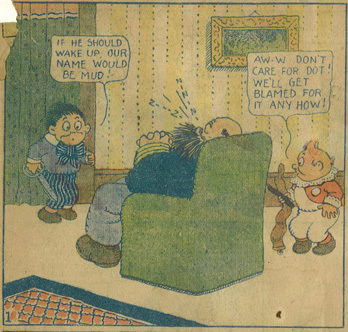 These strips are bland before their time, and would be right at home on a modern comics page. That’s not all! 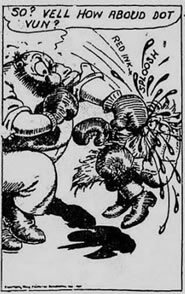 Here is a well done Mutt & Jeff clone called Hitt & Runn… apparently four-letter names ending in double letters is a crucial part of the ingredients to making a successful clone, even if the names are totally improbable. And more! Just go to his blogs and check them out. 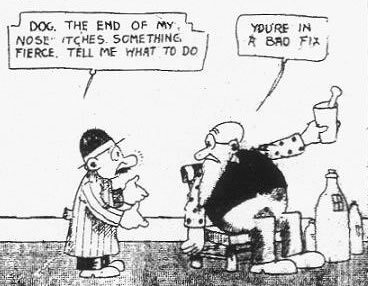 Barnacle Press brings us another great list of greatest hits… Ten Particularly Odd Comic Strips from Barnacle Press. The Handy Man From Timbuctoo makes the list, naturally. 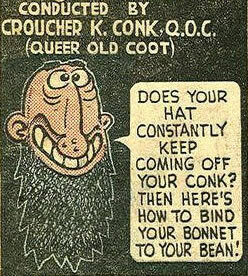 Click on the below image from the bizarre Goops to go there. Number 373 Ghost Rider and the murder in wax! 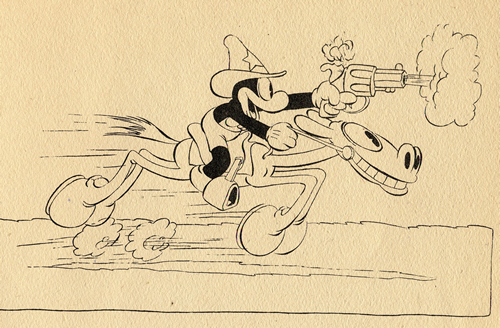 from This Blog’s A Load Of CARTOONS! The Katzies are Coming ! Lady of color. Thursday story Day. 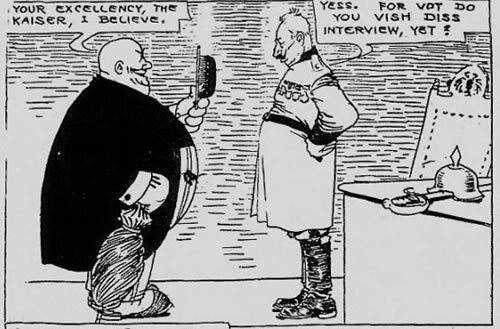 and A.D. Condo’s Everett True Vs. the Kaiser! 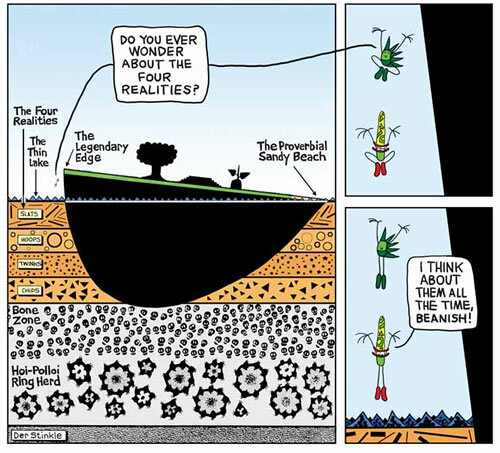 Next we have the first new Beanworld comic by Larry Marder in I can’t remember how long. Apparently, there is a lot more to come, as Larry Marder has made a return to drawing comics after a decade or so absence. Don’t miss this stuff! Marder has always done utterly unique and wonderful work, and I’m thrilled that he is back at the drawing board… he is one of my favorite cartoonists. His plans also include reprinting all of his old work, so you’ll be able to easily start at the beginning. 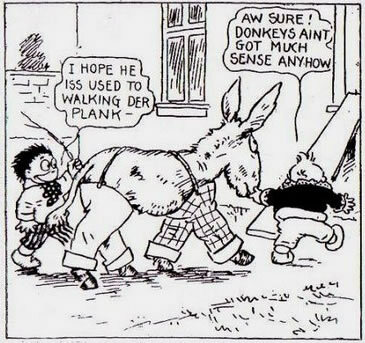 Speaking of Strips, How about Animal Crackers? “? and !” is online. Become a Beanworld MySpace friend! Grapenut Flakes Post Wednesday Advertising Day. 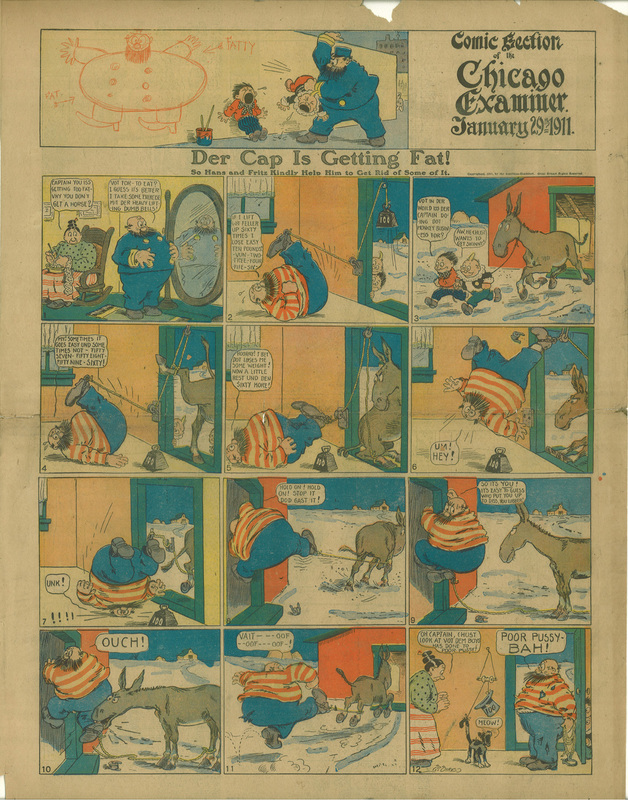 Here’s a Rudolph Dirks Katzenjammer Kids strip I scanned from May 6th, 1906 (with a delightful header by Sherlocko the Monk cartoonist Gus Mager). Watch as the Kids bravely rescue the Captain from certain doom so they will still have him around to torture. 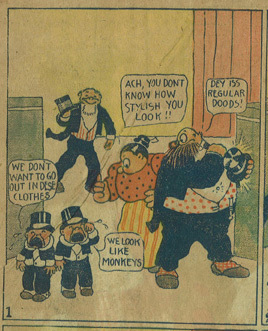 Please note that this strip contains offensive racial depictions, common to strips of the era. If this sort of thing offends you, you may not want to view it. 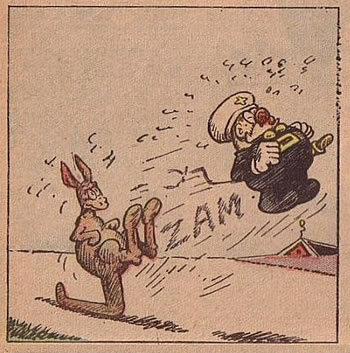 Go here to see more Katzenjammer Kids strips on this site. Here’s what Don Markstein’s Toonopedia has to say about the Katzenjammers. 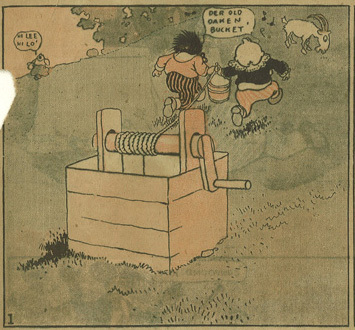 Click here to go to the Barnacle Press collection of Katzenjammer Kids strips. 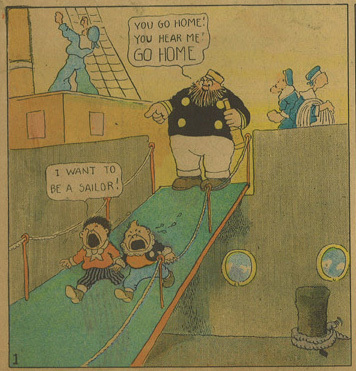 Read about the Katzenjammer Kids on Wikipedia. 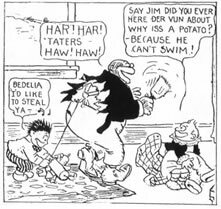 Click here to the Toonopedia entry on the Katzenjammer Kids. Click here to read about Rudolph Dirks at lambiek.net. 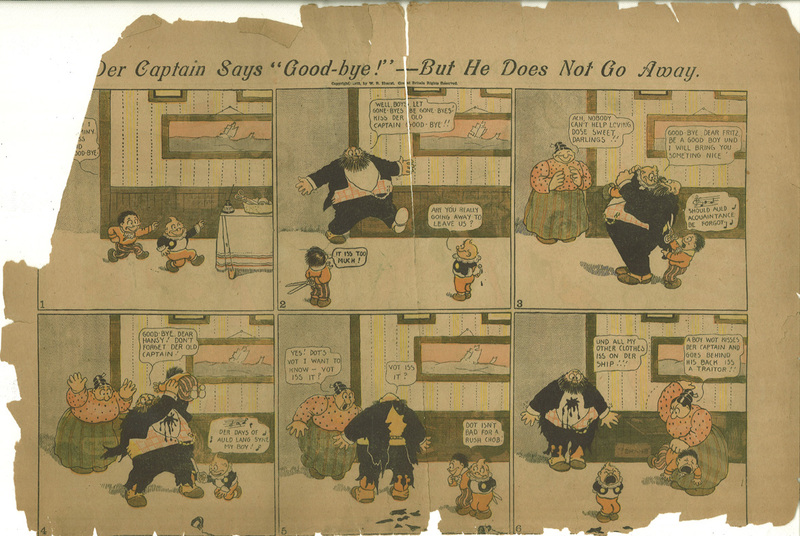 Here’s a thoroughly crumbled Rudolph Dirks Katzenjammer Kids strip I scanned from August 9th, 1903. Please note that this strip contains offensive racial depictions… if that sort of thing offends you, you may not want to view it. 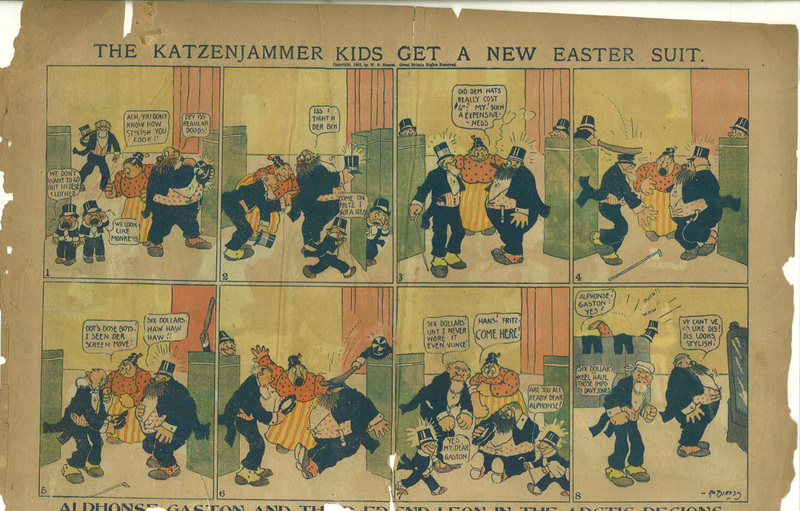 Here’s a Rudolph Dirks Katzenjammer Kids strip I scanned from January 29th, 1911. 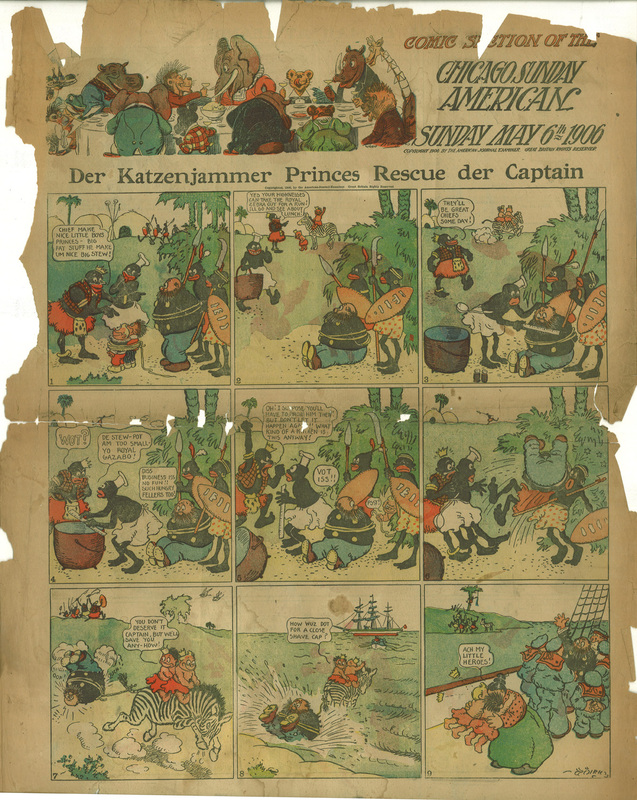 Here’s a mangled Rudolph Dirks Katzenjammer Kids strip I scanned from 1904. 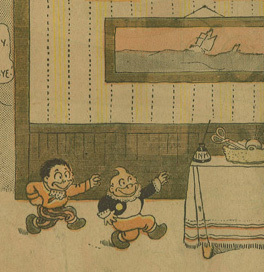 Here’s a Rudolph Dirks Katzenjammer Kids strip I scanned from 1902. 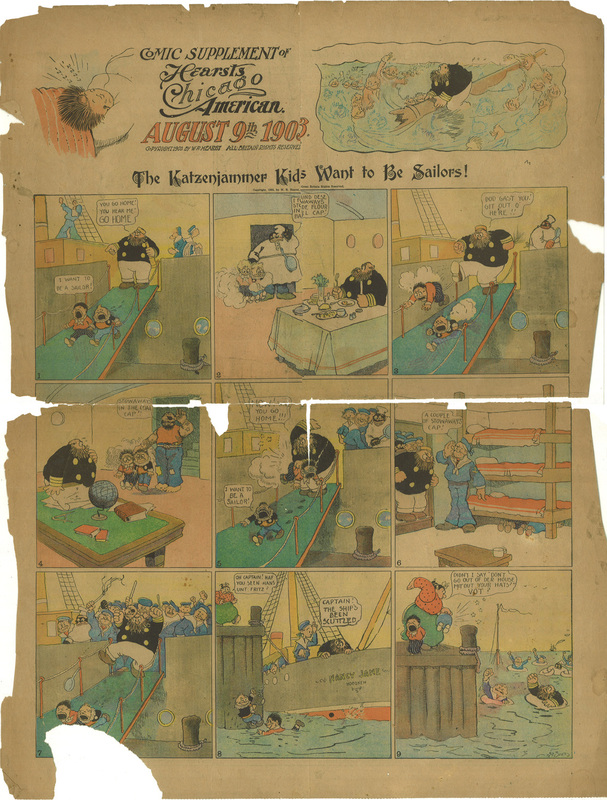 Here’s a Rudolph Dirks Katzenjammer Kids strip I scanned from 1905. 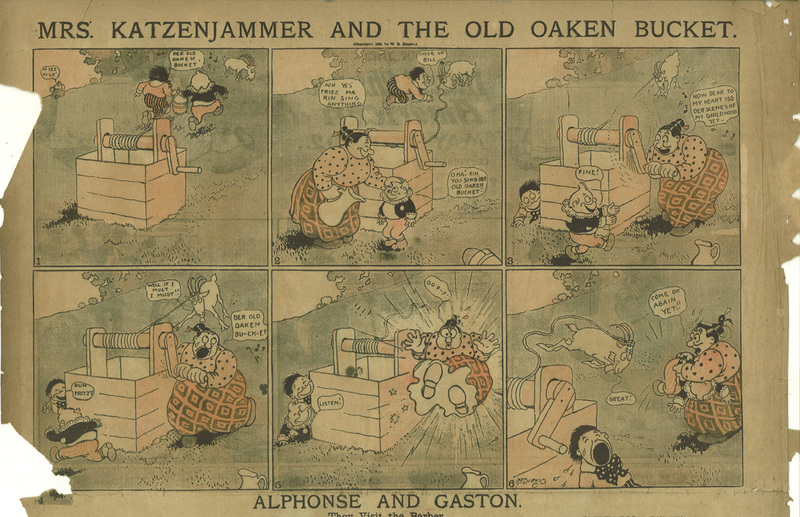 The Alphonse and Gaston gag in panels 7 and 8 is a reference to the strip by Frederick Opper that I previously scanned an example of from 1903 here. 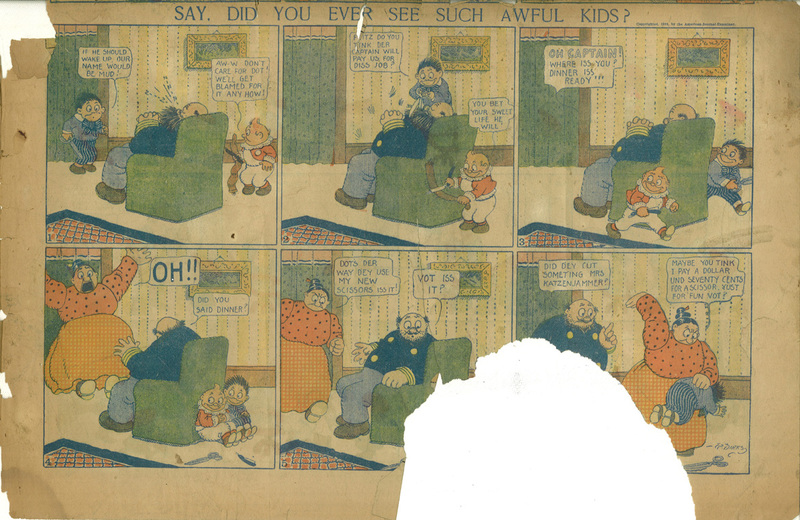 Here’s another badly mutilated Rudolph Dirks Katzenjammer Kids strip I scanned from 1903.